Co-creator and co-showrunner of HBO's groundbreaking television series Game of Thrones who is also a writer and novelist. The success led to another HBO greenlit project called Confederate, as well as writing and producing control on a new Star Wars series. He graduated from Wesleyan University before earning a Master of Philosophy degree in Irish literature from Trinity College, Dublin. He also received a Master of Fine Arts in creative writing from the Iowa Writers' Workshop. He authored a debut novel called Lucky Wander Boy. He and his wife Andrea Troyer have two children. 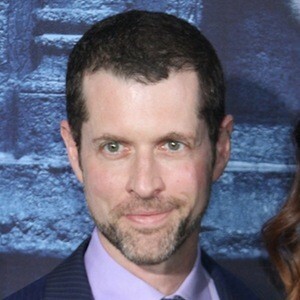 He co-created Game of Thrones with David Benioff and continued to work with him on projects to follow.